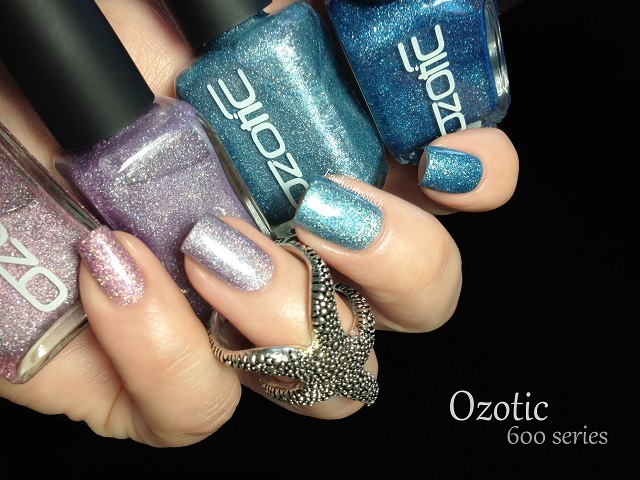 Fashion Polish: Ozotic 600 series : 601, 603, 606 & 617! 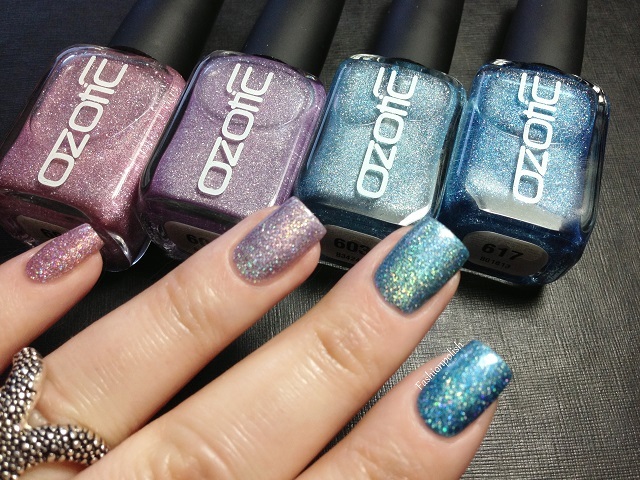 Ozotic 600 series : 601, 603, 606 & 617! 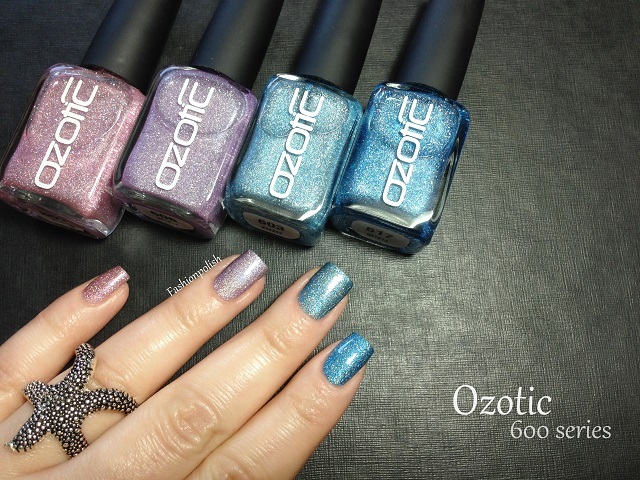 Today's post is the first of my Ozotic 600 series. I have 12 of them to share with you and instead of going through them by number, I decided to group them by color for comparison purposes. So let's get started with the light purples and blues! In terms of formula, they all applied like a dream and quickly dried to a shiny finish. Both purples (601 & 606) were on the sheer side and required 3 coats for sufficient coverage but the blues (603 & 617) were perfect after the second coat. light mauve scattered holo, 3 coats plus topcoat. lilac scattered holo, 3 coats plus topcoat. baby blue scattered holo, 3 coats plus topcoat. 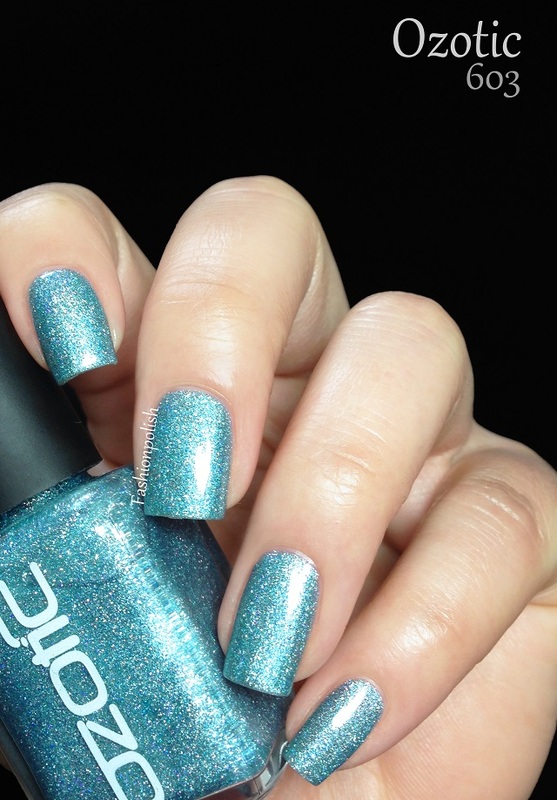 sky blue scattered holo, 3 coats plus topcoat. I was wondering how the 600 series compared to the piCture pOlish collaboration shades and my first opinion is that they are much more packed with holo particles. Of course these are lighter so the holo effect is more obvious but I'm really loving them, they totally remind me of the Kaleidoscopes! Do you have any of these? Have you ever tried any of the 600 series? oh my! 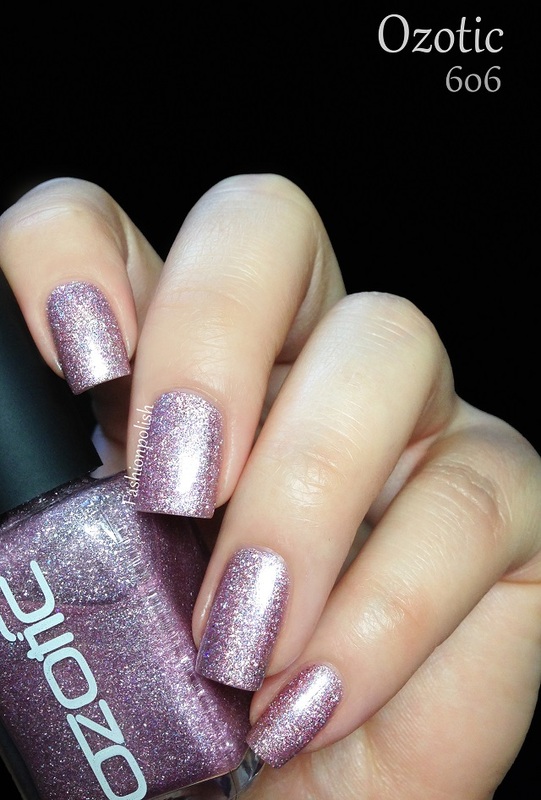 Polishes from this series are really beautiful! I do tend to prefer the blue ones! ils sont magnifiques présentés ainsi ensemble !! et tes photos .... je suis fan !